Home Remodeling, Asheville, NC | Off Duty Fireman Construction Inc.
'); // });Home Remodeling, Asheville, NC | Off Duty Fireman Construction Inc.
As the Asheville area’s premier home remodeling company, we’ll make sure your project turns out exactly like it should. You have a vision for your home, and you want more than anything to ensure your home remodeling project turns out like you want. 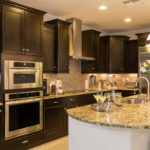 However, undertaking a home remodeling project on your own, especially if you plan to tackle several rooms at one time, is best left to a professional. This is where our team at Off Duty Fireman Construction Inc. comes in. As the Asheville, North Carolina area’s premier home remodeling company, we’ll make sure your project turns out exactly like it should. What Sets Our Home Remodeling Services Apart? One of the things that really sets our home remodeling services apart is that we don’t sacrifice quality. Although we won’t leave your home as a construction zone for weeks on end, we will take the time needed to do the job right. This way, you end up fully satisfied with how your newly remodeled home turns out. Not only do our home remodeling services boast quality workmanship, but our home renovation professionals are also committed to your complete satisfaction. Please don’t hesitate to contact us if you have questions at any point during your remodeling project! We’re always available to provide further information, guidance, and reassurance. Collect ideas—Did your neighbor recently remodel their home, and you love the results? Or, did you find a remodeling idea in a magazine and you want to incorporate something similar in your home? Collect different ideas from places around you, magazines, the internet, and other sources to solidify how you want your home remodeling project to turn out. Finalize your budget—If you’re like most people, you probably don’t have an endless budget to spend on remodeling your home in Asheville. Sit down and determine exactly how much you can spend on the project, so you’re not tempted to exceed this limit when you start going over design plans. Picture the future—While a certain home remodeling project might be great for your lifestyle right now, will it provide the same benefits in a decade? Think about how the remodel will affect the way you live in your home and if this is the right long-term move. During your home remodeling project, we don’t want you to worry about a thing, so don’t hesitate to reach out to us if you have any questions. We’d be happy to sit down with you, go over design plans, and give you an estimate regarding the cost of your project. Leave your next home remodeling project to a team that knows what they’re doing! Contact us at Off Duty Fireman Construction Inc. today to find out more about how we can help you enhance the functionality and value of your home through renovations. At Off Duty Fireman Construction Inc., we offer home remodeling services in Asheville, Waynesville, Hendersonville, Black Mountain, Arden, Maggie Valley, Charlotte, Lenoir, Hendersonville, and Winston-Salem, North Carolina.